My Bloglovin news feed is full of '2013 favourites' posts at the moment so it was only right I got involved myself - I hope you don't mind adding another one of these posts to your reading list. Favourites posts are one of my 'favourite' (no pun intended) to read as I love seeing which products have caught peoples attention and it also gives me ideas for things I'd like to pop onto my wish list. 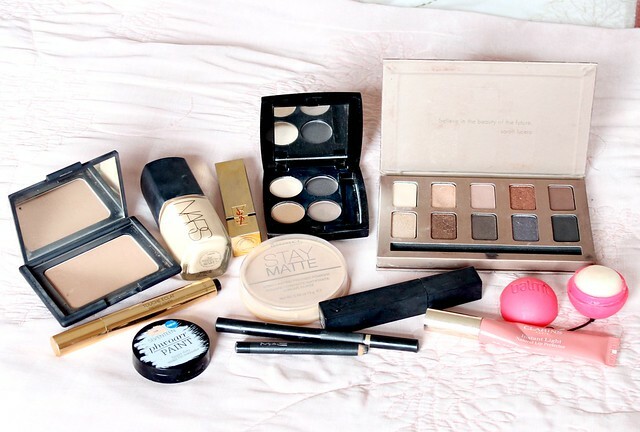 With this being said, you can imagine how much I'm loving all of the 2013 favourites posts - a big summary of everyones favourite products of the year, not just that month. I'm pretty sure if a product is featured in a yearly favourites post, it has to be up there with 'holy grail' status. I never thought I'd find a foundation that ticks so many boxes but NARS Sheer Glow has done it. With a great colour range (I'm Fiji for reference), medium to full coverage, a radiant finish (not glowy as the name states but not matte either) and long lasting, what more could I ask for? Well, if I had to me picky, I'd like it to be cheaper than its £30+ price tag but hey, you get what you pay for I guess! I've absolutely loved wearing this foundation in 2013 and I can't see myself jumping ship to anything else anytime soon. Read my full review here. A more recent discovery for me but as I've used it none-stop since purchasing it a few months ago, I thought it deserved its place in my 2013 favourites anyway. This concealer works wonders on my dark circles - its full-duty without being cakey and as I purchased the lightest shade available, it really helps to brighten up my whole under eye area. I haven't done a full review of this yet but its been on my 'to-do' list for quite some time so keep your eyes peeled for that. When I first got this product, I didn't really get it. Yes I liked it for its brightening and illuminating properties but I didn't see what was so amazing about it or why it receives such praise in the beauty industry. However, since then I've used it almost every single day and on the days I haven't used it, I've noticed a big difference. This bad boy completely brightens up my whole face and I love how multi-purpose it is too. I've been using this under my eyes to brighten dark circles and on areas of my face where I want to add extra light such as my cheekbones, brow bones and down the centre of my nose. Its a pricey product but a great one for adding that finishing touch to my makeup. 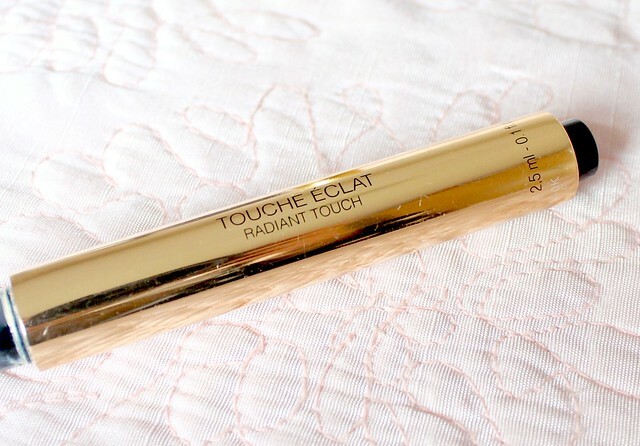 The only thing I would say is that L'oreal do a great dupe of this with their Lumi Magique highlighting pen so I'd recommend giving that one a try first before splurging on YSL. Read my full review here. Since discovering Rimmel Stay Matte powder in 2013, I haven't looked back. Considering this costs less than £5, its taken over from the likes of MAC mineralize skinfinish natural in my makeup collection. The translucent powder is fab for popping on over my foundation to set my makeup and keep shine at bay. Read my full review here. Oh, no surprises here then. I've raved about this product so much on my blog that I really don't think I need to say much as you've probably heard it all before. Seriously though, this bronzer is perfect for me and my skin tone and I don't think anything will ever come close to it, let alone beat it as my favourite bronzer. Its the perfect shade for my pale skin as it adds a warm glow to my complexion without making it look muddy or orange - its very natural. 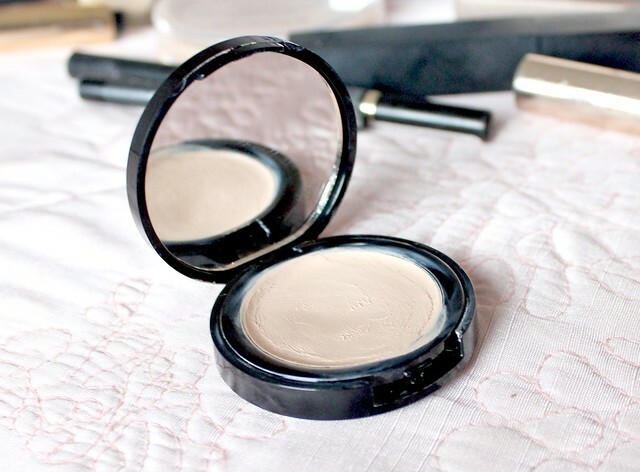 Its also great to use as a contour as it doesn't contain any shimmer. It isn't completely matte though so it doesn't look flat on the rest of my face - it has a slight gold sheen that makes my skin look glowing and healthy. Can you tell its love? Read my full review here. Considering I only got this in November as part of my Latest in Beauty Glamour box, its already topped my list as favourite brow product of 2013. 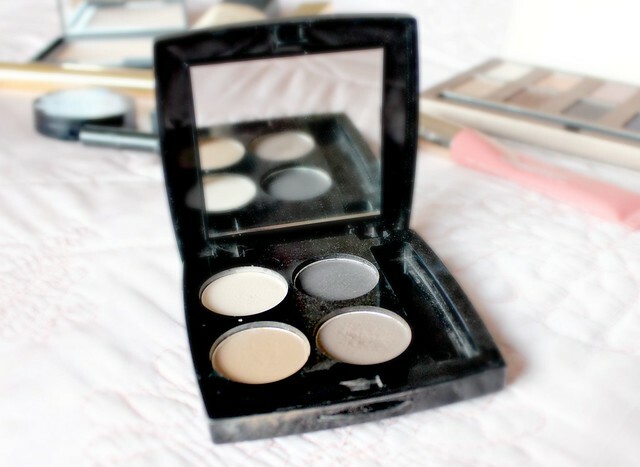 Before using this I was using Benefit Brow Zings and although I still like it, the HD Brow palette in the shade 'Foxy' has blown it out of the water. The powders are so pigmented and the Ash shade in the palette (bottom right) which I've been using every day is the perfect match for my brows. Its very natural looking and has no orange or red tones which is why I love it so much. Read my full review here. As much as I love my Urban Decay NAKED palette and MAC palette, my most used eyeshadows in 2013 would definitely be these beauties from the Stila in the Light palette. These shadows are absolutely beautiful - very creamy, pigmented and long lasting. All of the shades are right up my street too and there isn't one colour I don't use - well, apart from the dark metallic grey. I also love that there's a mix of metallic, matte and glittery shades so I can create a good range of looks with it. I find myself reaching for this during the day and using the matte shades but also for a night out where I'll add a couple of the metallic shades to the mix. I also adore using the champagne shade in the inner corners of my eye and on my brow bone. Its just a great versatile palette and great for travelling with as the packaging is so lightweight. It was my palette of choice for both of my holidays in the Summer! Love, love, love, love, love it! Read my full review here. If you want a pencil liner that's creamy and blacker than black, look no further than MAC Smolder. Its been my favourite eyeliner to use on my waterline for years and I wear it every time I do my makeup. I know some people don't get along with it as they find it smudges but I don't seem to have that problem - I love it and its definitely a holy grail item that I'll continue to repurchase. I don't wear liquid liner on a day to day basis as I find it can make me look a bit too overdone but for a night out, its a must have. The super slim liner has been my favourite of 2013 as its really black, has great pigmentation and is so easy to use. The fine 'nib' (if that's what its even called) is great for detailed application and the felt tip style applicator makes it so easy to use. Its really is foolproof! Its really long lasting too which is another bonus! I don't typically liked mascaras with plastic wands but this one from Sleek has really impressed me. It curls and thickens my lashes without being clumpy or flaky and its really black too. 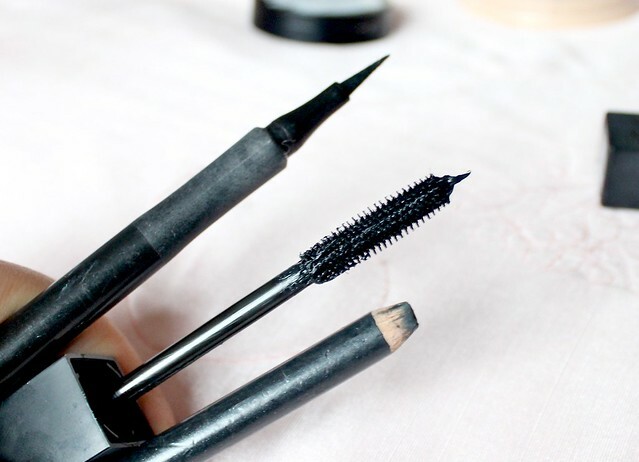 I also like the way the wand has lots of small bristles as I can really get into the corner of my lashes with it. Okay so this was a tough choice for me as I'm sure you're all aware that I'm a total lipstick junkie. I dread to think how many I have but lets just say its ridiculous and picking one was very tough indeed. However, I eventually settled on a lipstick I've worn a lot in 2013 and one that I've loved wearing in both Summer and Winter - YSL 'Le Orange' from their Rouge Pur Couture range. Everything about this lipstick is stunning. From the gold packaging to the vibrant orange/red shade and the highly pigmented and glossy finish and I can't get enough of it. 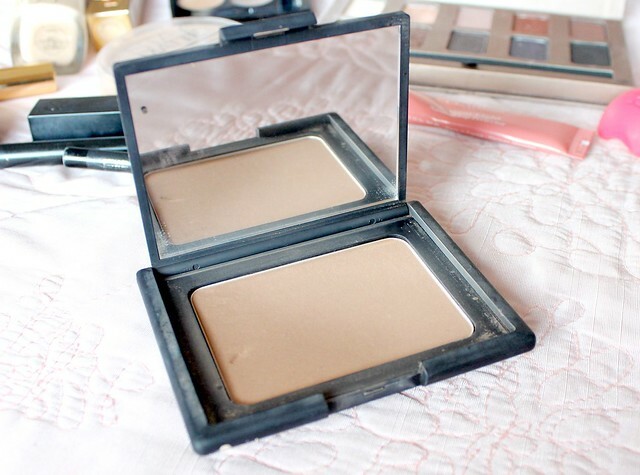 As soon as I put it on it brightens up my whole face and I find the colour very versatile for all year round. 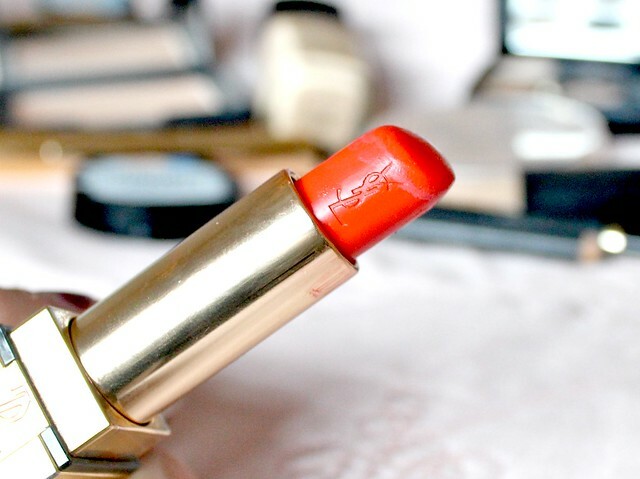 It was one of my most worn lipsticks on my holidays in the Summer (it looks great with a tan) and its been my lipstick of choice over the Christmas period. Although its an expensive lipstick, I won't think twice about repurchasing it. Read my full review here. I've really got into lip balm over the past twelve months and I've built up quite the collection of them. I love popping a lip balm on before bed as the final step in my skincare routine and I also love keeping them in my handbag so I can slick one on and keep my lips hydrated throughout the day. My favourite lip balm that I use all the time has got to be my Balmi. The cute domed shape makes it perfect for quickly popping on when I'm on the go and the Raspberry flavour also smells and tastes delicious. I definitely need to add a few more of these to my collection. I love the Clarins lip perfectors as they're lovely worn alone on a day to day basis or on top of my favourite lipsticks as they have a lovely none-sticky texture. They have a gel like consistency which feels very creamy, smooth and moisturising on the lips. Lovely! 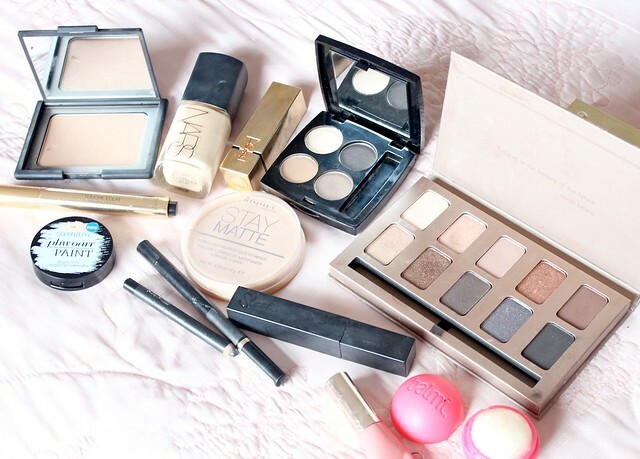 So there we have it, my favourite makeup products of 2013! As I said - there's so many more I could have included but I didn't want this post to be any longer than it already is and I'm sure you can flick back through my monthly favourites posts if you want to know about the other products that have impressed me. I'd also like to point out that my favourite highlighter of 2013 would be Topshop Crescent Moon but I didn't have it will me to photograph. Its the one I used most last year but if I had to pick my ultimate favourite, which I recently got for Christmas, it would be MAC Soft & Gentle without a doubt! What were your favourite products to use last year? Leave your links below if you've done one of these posts as I'd love to read them! Great favourites! 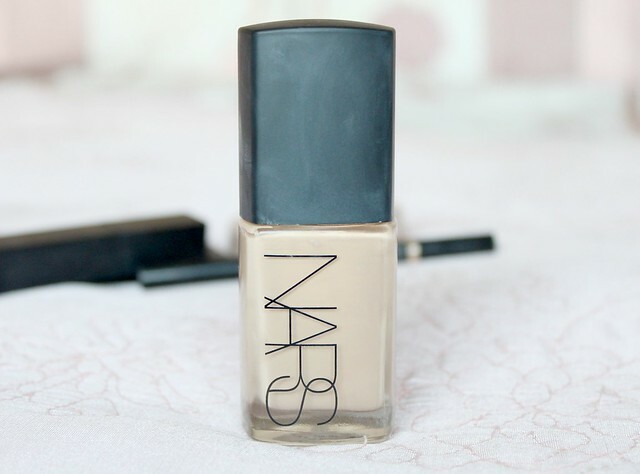 I discovered Nars Sheer Glow in 2013 and it's definitely one of my favourite products too. I used to love the HD Brows palette but have since preferred the Sleek brow palette instead, but there's no denying it's a great one. Looking forward to seeing more from your blog in 2014, no doubt it's going to be a big year for you :-). I really want to try the Stila eyeshadow palette, the colours all looks so pretty! Such a great post! I either have these products and love them (Rimmel stay matte, L'oreal lquid liner) or they are on my "want" list (NARS sheer glow, NARS laguna). It's a shame I'm so poor after Christmas haha ! 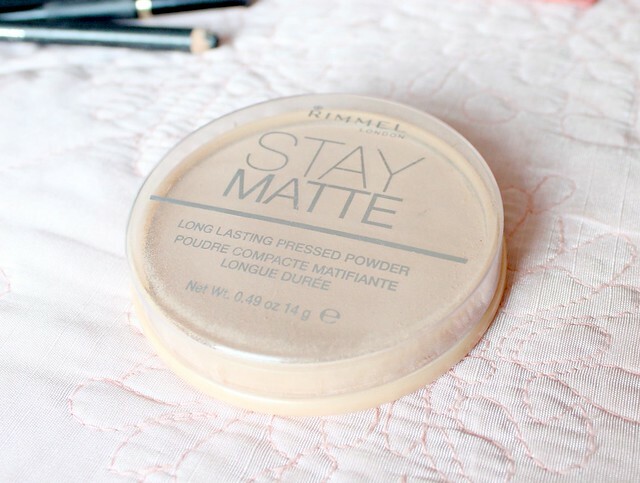 I really want to try the Rimmel stay matte powder! loving the nars sheer glow right now too! Nars Sheer Glow is perfect isn't it :) I picked that up towards the end of this year, having said that I do prefer my Laura Mercier Silk Creme just a tad bit more. That Stila palette is beautiful! Laguna and stay matte were firmly in my favs to! Not so sure on phoaar paint.. I found it creased super super badly but I'm going to give it another go as it's appearing in loads of favourites! Nars sheer glow is definitely on my wishlist. I really like reading people's favourites as I get to discover new things too! I've spotted a few I'd like to try for myself, and I definitely agree that the In The Light palette is a thing of beauty. In terms of eyeliner, I love Maybelline's Master Precise, the tip is really precise, which always helps when applying eyeliner! I'm going to have to try that seventeen concealer, it sounds amazing! You've picked some really wonderful favourites.. especially the Stila, Nars Laguna and Touche Éclat! I need to try the NARs foundation now. Just bought NARS concealer and it works great. Thanks for sharing. I also loved my Stila in the Light palette! This year I skipped a yearly favorites post because I only started blogging in May and that's when I really focused on beauty products. However I've really enjoyed reading these posts! My wish list has slowly gone out of control haha. That stila palette is gorgeous! I've done a post on my top lip products of 2013 and WHY have I not added the Clarins Lip Perfector? I totally agree with you, it's brill!! I wish the Stay Matt powder worked for me, I've tried it so many times and I just can't get it to work for me. You have given me some great products to try out this year though! The Clarins is my favourite gloss too! NARS sheer glow foundation is also my all time favorite! 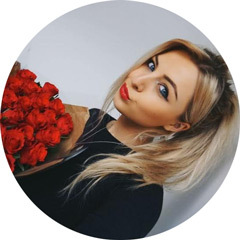 These posts are really useful, especially if you are going to part with a lot of money- there is never a guarantee that the product will actually work! I too have fair skin so will be trying out that NARS bronzer! Great favourites, Nars foundation is lovely! 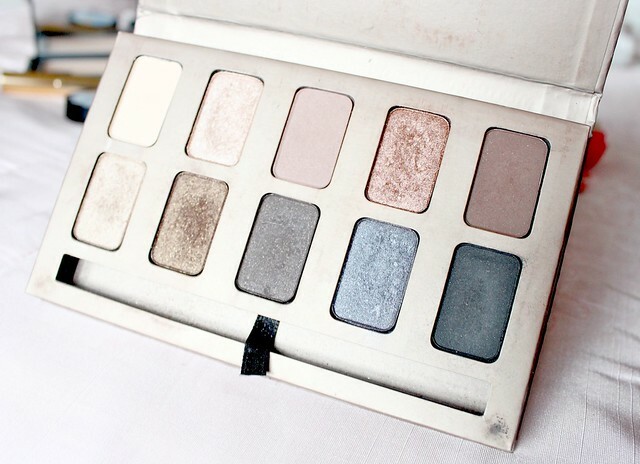 The Stila palette just oozes pretty doesn't it?! So stunning! I may need to pick one up! Everything looks amazing. I really like the look of YSL le Orange. Kah-Feh Yen | YSL Rouge Volupté Giveaway. Oh so many great things, love the ysl lipstick! I really want to try the Stilla palette! 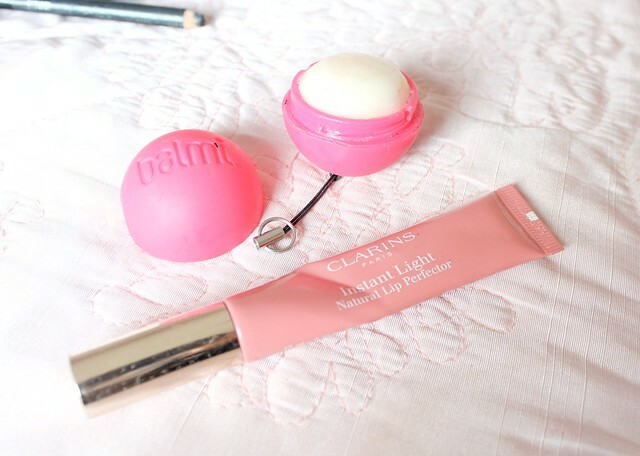 I really want to try the clarins instant light perfecters, the peachy pink shade looks gorgeous! Ooooo so many things I want to try now! Really tempted by the Nars foundation, roll on payday!